This month marks a milestone for Fresno Filmworks, the all-volunteer nonprofit that brings first-run independent and international movies to the Central Valley. I served on the board from 2007 to 2009, and I still produce some of the organization’s creative collateral, so I’m very loyal to Filmworks and I’m fond of its mission. But March 2012 marks the group’s 10th anniversary, and it’s important for me to note how much I truly appreciate the work that Filmworks does each and every month. I’ve been introduced to many, many important voices through the movies they’ve brought to town, and those movies have, in turn, connected me with countless wonderful friends and neighbors in my community that I may not have otherwise gotten a chance to know. Filmworks celebrated its 10th anniversary in typical fashion: by showing a low-key, understated gem of a monthly film. 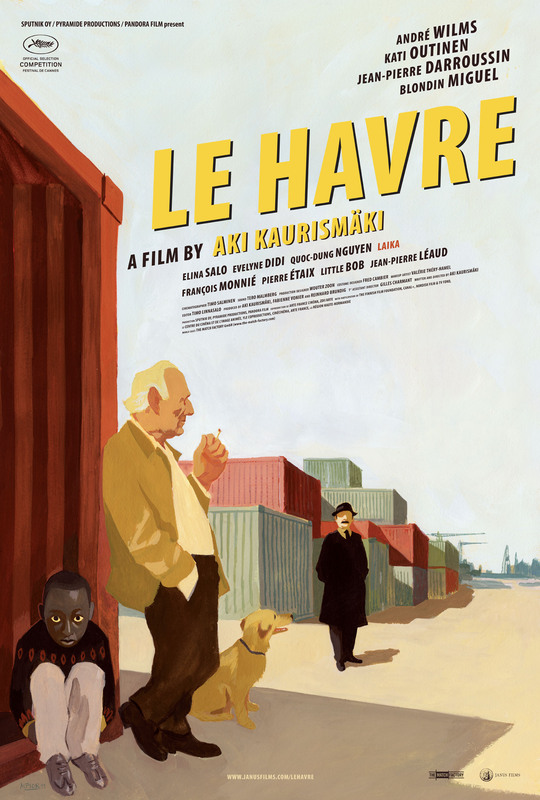 “Le Havre” is a comedic drama from Finland and France. It’s a political fairy tale featuring a shoeshine man and his ailing wife, an earnest young African refugee, a shadowy but soft-hearted police inspector, and a whole village of quirky characters. My favorite sequence was a rock ‘n roll performance by Little Bob that lingered onscreen way too long, like the best indie films often do to accentuate the wonderful, awkward perfection of the most imperfect scenes. Critics draw parallels between director Aki Kaurismäki and some of the great comedic masters of cinema, including Jacques Tati and Buster Keaton. In other words, the film was perfect for the evening: It simultaneously felt both old and new.